Orphek has a range of LED Aquarium lighting solutions capable of delivering products that provides perfect intensity/efficiency and spectrum to all shapes, sizes, depths of tanks and all locations. Orphek offers LED lighting products combining the best environmentally friendly solutions with most advanced & efficient technology with a conceptual design. We are the first company to introduce Aquarium LED lighting Internet of Things (IoT) technology. Lightning, water temperature, feeding strategies and water chemistry, all affect the growth of living creatures and the general appearance of an aquarium. Proper lighting is one of the most important aspects of any aquarium, and one of the biggest challenges to aquarists. It used to be for us as aquarist for many years, especially when growing corals. Taking a reef aquarium as an example, the Zooxanthellae that live in coral tissues depend heavily on specific types of light energy to flourish in a symbiotic relationship with the host coral. While trying to simulate nature in a captive environment as closely as possible, and considering efficiency, we were not satisfied with the light solutions on the market at the time. So we decided to use our experience as hobbyists, and team up with marine biologists and engineers to develop a product of our own. From the beginning our main concern was to find a solution that would not only answer to aquarists’ needs, but would also have an exquisite design, an outstanding performance and high quality components. Since then, all our products have proven themselves to be very successful over planted, SPS reef and public aquariums, and quickly gained respect and recognition as a leader in LED lighting technology and innovation. Pursuing new challenges to answer to new client’s demands we are constantly expanding our line and developing new solutions. Besides being aquarists, we share a passion for design, and one of our dissatisfactions with the products that were available in the market was exactly their design. We really never understood why aquarium lights had to look so unappealing. When we started to develop our first product, we opted for LEDs not only for their efficiency, but also because they allow extraordinary design flexibility in color changing and in product development. Notably promising, soon we realized that LED lighting illumination renders spectacular solutions where the integration of light sources, conceptual design and architectural elements are also desired. We wanted to offer a solution that would have an advanced contemporary design. Possibly Orphek is the only aquarium LED lighting company to have a multitasked staff of marine biologists, electrical engineers, experts in many different areas and representatives that not only share the same passion for Nature, but also are very active in aquarist communities. Our consultants, representatives and all professionals involved in the company-customer relationship understand the client’s priorities and are trained to provide full support and personal/customized services from the first contact. We are committed to reach successfully all our client’s expectations. Orphek clients are definitely our most important assets, therefore we are 100% committed to their satisfaction. We invest customer assistance efficiency because our clients have real value! 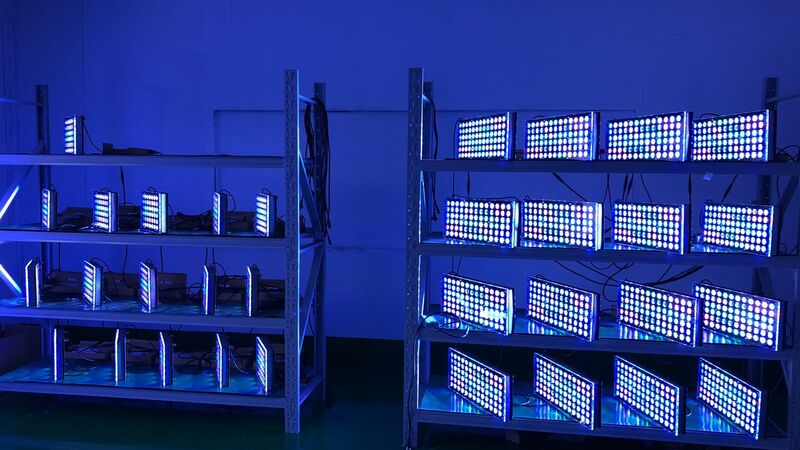 Orphek’s quality control systems are developed to guarantee that all our LED lighting solutions will provide extraordinary energy efficiency, minimum environmental damage, and outstanding results (illumination, color & growth). By simply producing an efficient LED lighting solution Orphek is helping to reduce a great excess carbon dioxide, sulfur oxide and nuclear waste emissions that are currently being released into the atmosphere every day, leading to a cleaner world and one that will last much longer. Our environmentally friendly lighting solutions produce no radiant heat, and they will not raise the aquarium temperature more than two degrees Celsius above the room temperature! Soon you will find out that by using Orphek LED lighting products, you will achieve more color and growth, with less cooling and electricity than metal halides or any other traditional form of lighting.